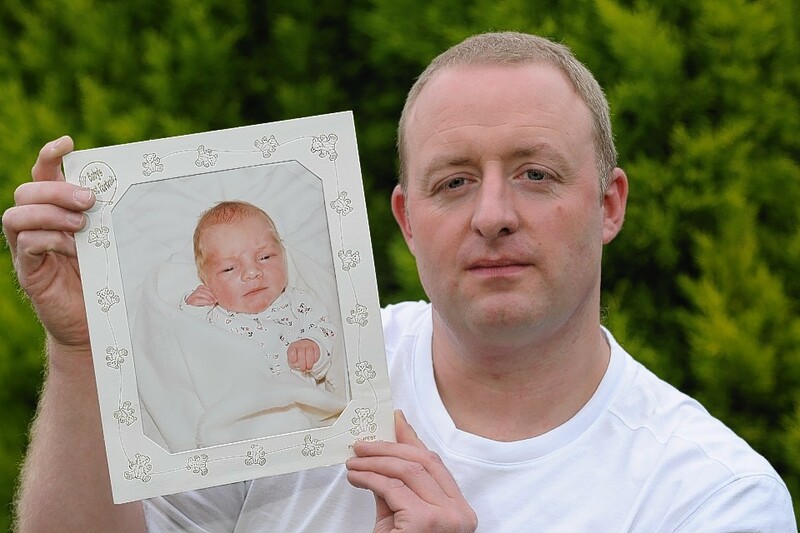 Paul Wells never received the ashes of his son Scott after he lost him to cot death in 2006. The painter and decorator from Garthdee in Aberdeen is among a group of parents taking action against the city council amid claims they spent years grieving for their youngsters while unaware their remains had been disposed of in the crematorium’s Garden of Remembrance. Earlier this month the parents were left stunned by new claims that babies and adults may have been cremated together. Aberdeen City Council has always maintained it has operated within the rules. Last night, Mr Wells, 40, welcomed the new nationwide investigation into practices at crematoria. He said: “This is a step in the right direction. “We’re never going to get Scott’s ashes back. “We’re not going to get to lay flowers on his birthday or at Christmas – full closure is something we’re not going to get. Lord Bonomy’s report found ashes at Hazlehead were regularly recovered in the 1980s, but in the six years before the commission was set up none were recovered from 40 deceased babies of less than 18 months. The council announced earlier this year that it had changed its procedures, including using baby trays, so ashes could now be recovered. Some staff in the past refused to use the trays on health and safety grounds, claiming there was an increased risk of being burned when removing them. Mr Wells said: “We’re very happy to hear that Hazlehead Crematorium will be getting some special attention. “It’s almost been like the city council has been trying to bury its head in the sand. “When Scott was cremated we were told there was a possibility that we wouldn’t get any ashes back. “But I believe the reason we never got my son’s ashes returned is because they didn’t do their job properly and they didn’t use a baby tray.